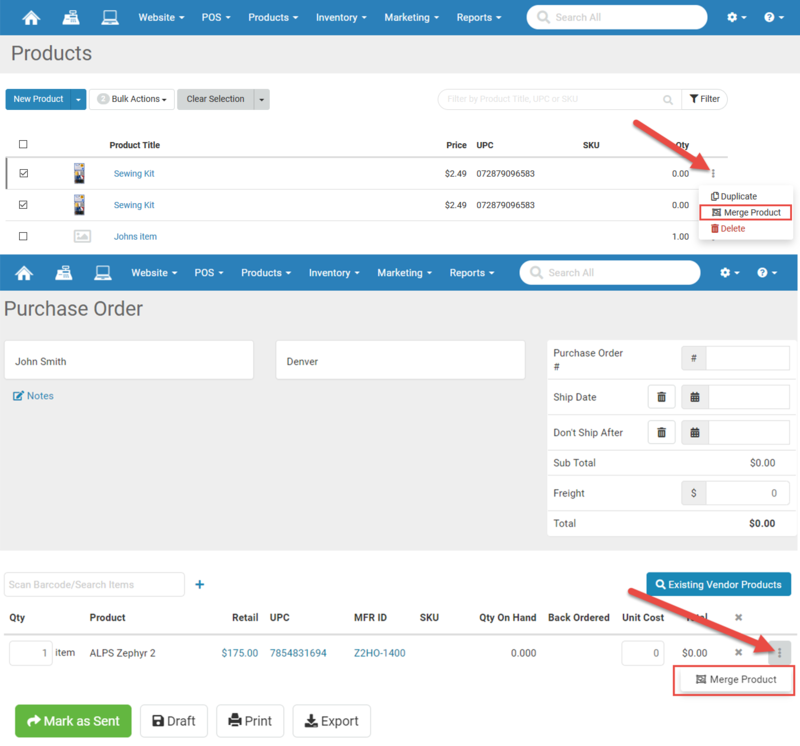 Added the ability to merge duplicate products. This can be done from a Purchase Order or from the Products page. This will only work on products without styles for now. Improved the efficiency of the web order transaction search. Added the functionality for stores using serialized item conditions (e.g. Brand New, Used, Poor, etc.) to print condition-specific barcodes with condition-specific pricing, based on your settings. This will automatically work if you use serialized item conditions. Fixed a display issue where items that were $10,000 or more displayed as $9,999.99 on active RTO contracts. Fixed an issue that was causing tax to be calculated before previous credit was applied. Tax will now be calculated after the credit is applied. This was rolled back last week and we have now implemented the correct fix.